Bird-friendly landscaping in your backyard will attract different types of bird species. You can do more than just putting a bird feeder and filling a birdbath in your backyard to attract different varieties of birds. Make sure to provide birds basic needs, this include food, water, shelter, and also nesting boxes. You can attract birds by planting different kinds of plants, trees, flowers, and shrubs. The proper planting selection can offer proper nesting sites, protection from predators, natural food sources and winter shelter for birds. A backyard bird-friendly landscaping can help you spot several wildlife species in your backyard; you don’t need to go bird sanctuaries or lonely places to find such species. You can stay home and watch birds by attracting them with you bird-friendly landscaping plan. Each bird species eat different types of foods. You should first learn the different food preferences of different birds so that to attract those kinds of species you can select your plants accordingly. The best ways to attract birds are with the plants that they are most familiar with. Use regional trees, flowers, grasses and shrubs for native landscaping, the native plants attracts birds as these birds can recognize them as they are rich food source and offers proper shelter. If you put exotic plants in the garden birds may not like them and they may not visit your backyard as they will not get attracted to these plants. Native plants require less water, low maintenance, and less fertilizer. Check out the list of native plants that grow in your area and plant them in your backyard. You can take help from experienced landscaper or visit nature garden for the support. Make sure to plant the bird-friendly plants in layers so that different birds visit the landscape at the same time. When done properly the different bird species will live in the same region and can adapt to different surroundings in the obtainable habitat. Some birds look for food on the ground, and some birds look in shrubs for food. Some birds nest on tall trees and some next in bushes. Sometimes the same bird species use different layers of flora for roosting, nesting and feeding. To offer the layered flora to the birds in your backyard, choose plants that grow on different heights and make sure to provide enough space between the plants; birds can easily get attracted to these kinds of vegetation’s. Create passageways for birds to fly through the layered planting areas in your backyard and connecting planted areas to your neighbor’s yards. Also, it is advisable to plant plants in groups instead of planting them single all over your backyard. Instead of putting fences use natural shrub for borders. These kinds of shrubs can attract birds and also give an attractive look to your backyard. Plant different verities of plants and plant wider range of plants to attract several varieties of bird species. You can get all the information on the internet where you can learn about native plants and other features that can attract different birds. Choose the plants that are familiar to the birds so that they can easily visit the backyard for food and shelter. Evergreen plants and shrubs will produce seeds and cones, and they can also provide appropriate shelter to the birds in the winter months. Planting different kinds of prickly and thorny shrubs in your backyard will attract more birds. 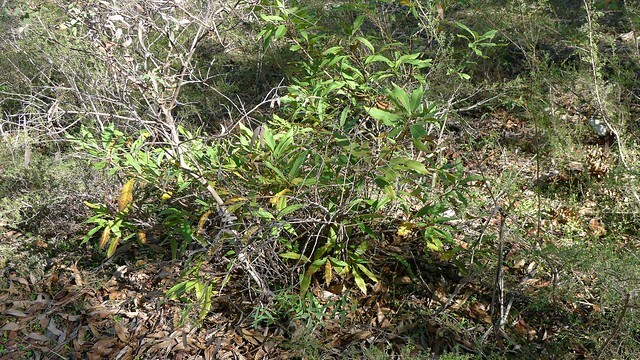 These prickly plants offer best nesting areas for several birds. These thorny plants keep them safe from predators. Holly and pyracantha are good prickly plants that also bear berries, which can be good food source for the birds. Make sure to plant them where you will not use the area more frequently just to avoid pricking and getting scratched. The plants that offers good homes to the birds includes beech, blackberry, bayberry, cherries, birch trees, elderberry, dogwoods, hackberry, fir trees, holly, maple, hickory, oak, mountain ash, red cedar, serviceberry, red mulberry, viburnum shrubs, spruce, Virginia Creeper, sumac, wild strawberry, wax myrtle, and Winterberry. When you are providing bird-friendly landscaping, you must also take care of few important things like using organic and natural fertilizers so that the birds will be safe. In unavoidable cases where you must use chemicals, then remove the birdfeeder for two days after chemicals are used in your backyard. You don’t need to worry about pesticide and bugs as they can be a good source of food for several birds. Get help from professional landscaper and design an appropriate bird-friendly landscaping in your backyard.